One bothering issue on drones, as far their opponents are concerned, is the intrusion of these UAVs in no-fly zones, which have often led to near collisions with manned aircraft. A recent study reveals some data about such close encounters. In close encounters, pilots “maneuvered to avoid a collision with a drone” at least 28 times, the study says. Such encounters involved various aircraft, including passenger jets and helicopters. Incidents of erring drone flights are also a big headache for more serious drone enthusiasts, many of whom are members of meetup groups such as the NYCDUG. 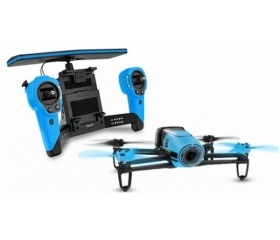 For most of them, drones are awesome tools for taking great aerial photos and videos for personal fun; while others use drones for providing fabulous drone photography services, among many other useful drone applications. Drones are also used in STEM education, for search-and-rescue, agriculture, and prototypes are being developed by Amazon for drones that will deliver goods. James Davis, publisher of The Droneologist, says that erring drone pilots, not drones, are responsible for the negative perception people have about drones. “Drones do not cause accidents; reckless, irresponsible drone pilots do.” They are stalling the progress of the developing drone industry that should by all means allow to soar full speed to realize its promising huge economic benefits.